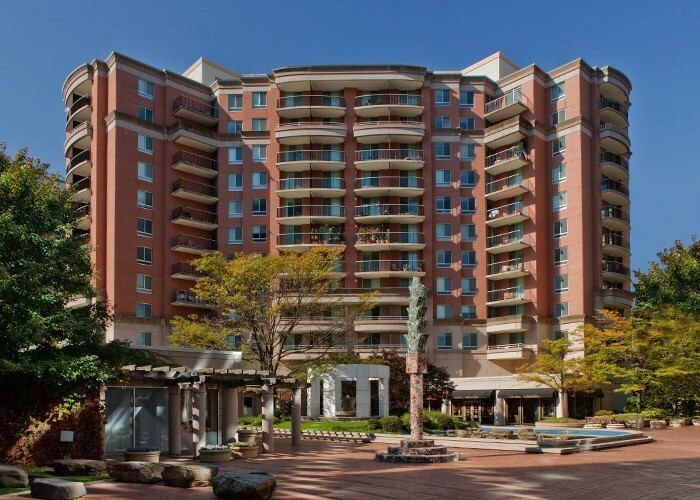 If you’re looking for apartments in Bethesda, MD for rent, look no further than Polinger Apartments. Located in Montgomery County, Maryland, Bethesda has no shortage of restaurants, shops, or community events to enjoy. Experience the great outdoors with local parks such as Battery Lane Urban Park and Caroline Freeland Park. If the arts are more your style, you’ll love browsing the various galleries or taking in a show in Bethesda’s Arts & Entertainment District. Public transportation, including Washington, D.C’s Metro and bus, make navigating the surrounding neighborhoods easy. With its close proximity to Washington, D.C., many notable businesses are within the Bethesda region including the National Institutes of Health campus, Walter Reed National Military Medical Center, and Lockheed Martin.